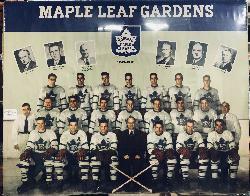 The official 1949-50 Toronto Maple Leafs team photo. Taken at a consignment store. Ted Kennedy is the captain.